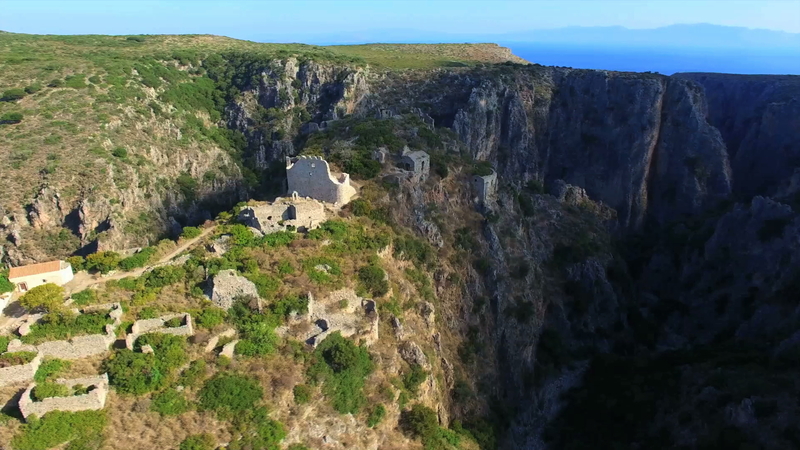 The ruined fortress of Paleochora is one of the most important archaeological sites of Kythera, the island’s Byzantine capital. It was built by Monemvasians in the12th century and was named the city of Agios Dimitrios. It is located on the north side of the island, in the middle of a natural fortress in a deep rough canyon surrounded by huge rocks. The canyon ends at the coast of Kakia Langada. 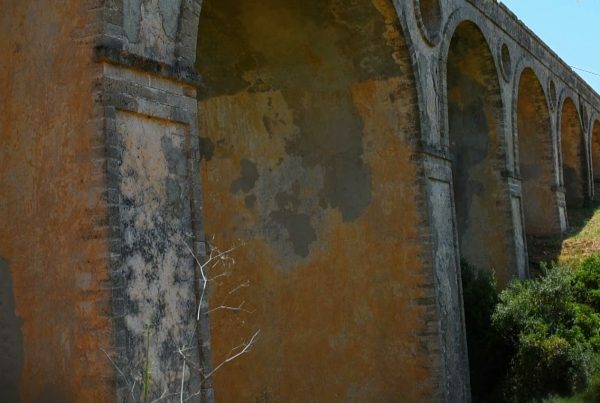 It is a perfect example of 13th century architecture, similar to Mystras and Monemvasia. 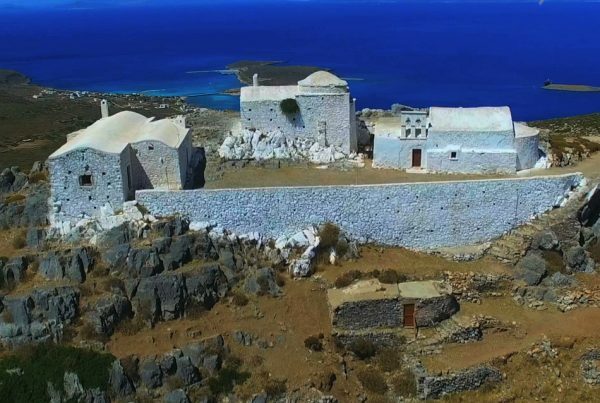 Paleochora is fortified and lower than the surrounding hills but it is invisible from the sea, so as to be protected from the many pirate raids that were plaguing the island for many years. Despite those precautions, the terrifying pirate Barbarossa managed to find and destroyed it in 1537, selling all the inhabitants as slaves. From that time, the city has never been reconstructed because it was considered a place of bad fortune. This wonderful site is full of fine Byzantine churches and chapels, and all have remains of impressive wall paintings and frescoes.